SCM, the world's leading producer of secondary woodworking technology, is taking part in the Timber Expo (9 through 11 October), the only British show dedicated to the wood construction industry, by now an event that industry companies, professionals and general enthusiasts do not dare to miss if they wish to stay up to date with the new trends and future scenarios in their industry. On view at the Birmingham event are the best SCM hi-tech machines, featured in the best possible setting at the stand designed and manufactured by Carvalo Ltd, made entirely of wood using the 6-axis Oikos CN machining centre, one of the finest SCM machines, famous for its superior precision, flexibility and, at the same time, ease of use processing structural beams and X-LAM/CLT wall panels. A machine that has been most appreciated by Carvalo, which since its establishment in 2006 has successfully combined the use of the oldest raw material offered by nature with cutting-edge construction technologies that deliver a remarkable aesthetic impact. A company of true wood construction artistry which with the help of the Oikos machine could lift its creativity to new heights and thus better meet the demands of an ever evolving market. SCM is proud to be this industry leader’s partner. 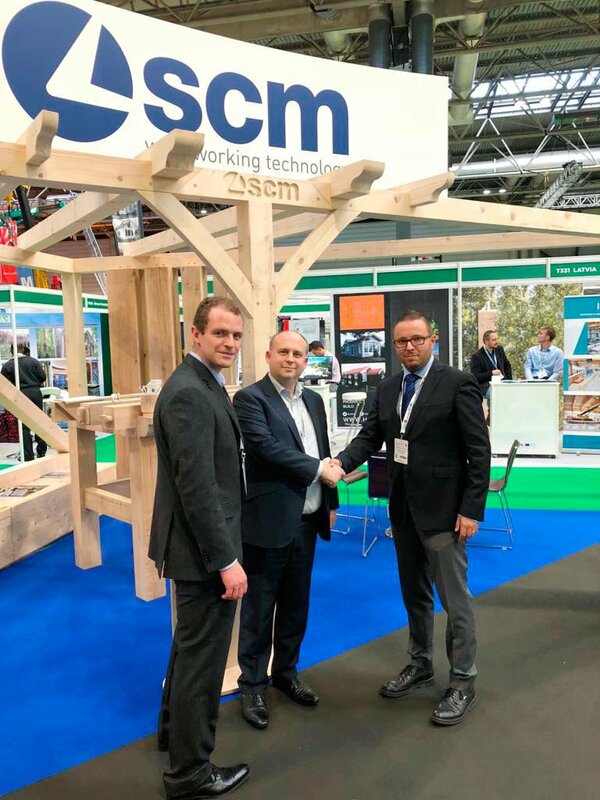 Tommaso Martini, SCM Wood Carpentry Machining Centres BU Manager, has thanked Scott Ballantine and Struan Haughton of Carvalo Ltd for the successful cooperation in setting up the stand at Timber Expo. 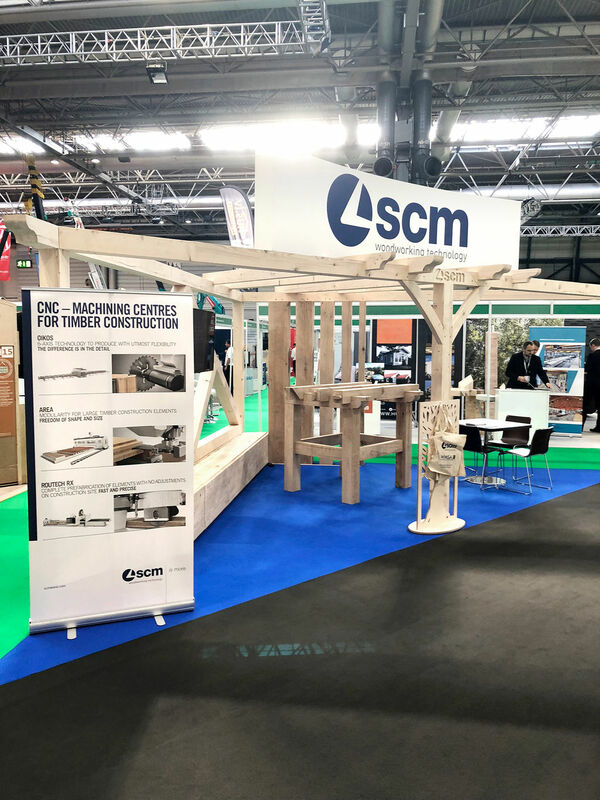 SCM stand has been nominated for the Best Stand Award of the UK Construction Week show. SCM and Carvalo Ltd: together towards new horizons.